It’s my first summer being a member of a CSA, and last week marked our first produce pick-up. Since I have so many friends in the same situation — with different CSAs in their respective neighborhoods — it’s been fun discovering the game of “CSA brag and compare”: What was in your share this week? 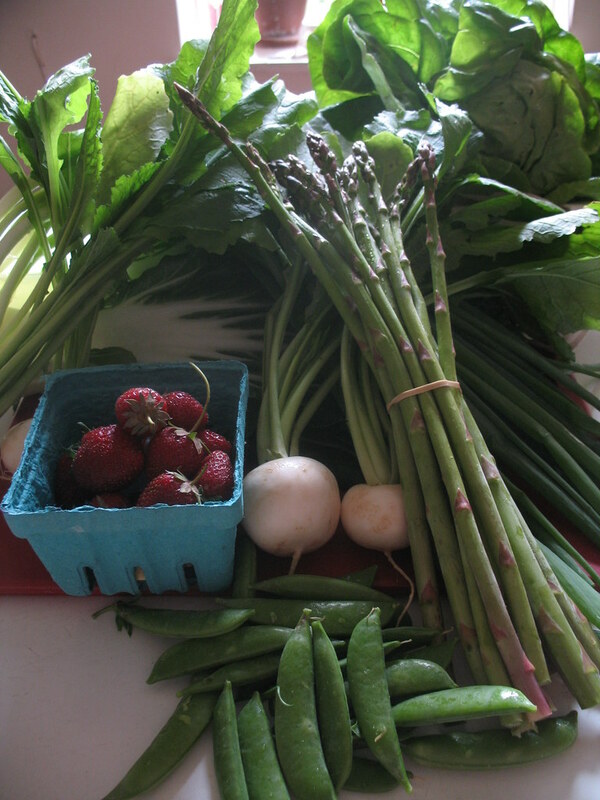 Oh, mine had only sugarsnap peas, asparagus, bok choy, radishes, red and green lettuces, scallions and strawberries. You got strawberries!!? Yes. Life is unfair. The local farm that serves Crown Heights CSA is Sang Lee, which some of us went to visit a few weeks ago. An organic vegetable farm, I didn’t think they dabbled heavily in fruits. Not only do they, but they grow some of the finest strawberries I’ve ever seen. Conditioned to seeing golfball-sized strawberries with lots of white and watery flesh, we might mistake the little berries from the local farm as their malnourished cousins. But one bite should prove the theory wrong that bigger is always better. (The diminutive alpine strawberry has been adored for centuries, and is roughly the size of a thimble.) Most strawberries grown around NYC and found in markets this time of year look small, but are intensely sweet, with a melt-in-your-mouth juiciness and rich color both inside and out. Think of them as sweetened, condensed strawberries. While conventional strawberries at the supermarket are shipped from California and picked prematurely to make the journey, these ones are ripened on the vine (and often come with the hangtag stem, great for dipping!). Their shelf life may be short, but you won’t be disappointed. I really wanted to eat these up with milk and cereal, just like I did as a kid. Seriously good strawberries seemed to call for really good milk, too, so I went to the Union Square Greenmarket to score some Ronnybrook. I was mistaken; the upstate dairy farm is not there on Fridays. But while chatting at the stand where I’d picked up a ton of pork from the week before, I was tipped me off to Milk Thistle farm, a few awnings down. Their organic milk, naturally, is pretty great, too (and they’re there every Friday). In Taiwan, if you ask for a “fruit shake” from a juice stand, they’ll whirl some fresh fruit in a blender right on the spot with milk and a bit of ice. It’s not a “milkshake” in the American sense, but wow, is it good (my favorite was watermelon). This is entirely due to the fact that their plentiful fruits are grown on the tropical island itself, and taste ten times more flavorful than the ones I’d eaten elsewhere. With just a couple blocks of ice to make it cool, the milk, juice and pulp combine in a frothy, pastel-colored suspension that you’ll have to drink up soon or else it’ll start to separate (not that you wouldn’t want to). These strawberries seemed well suited to the treatment. 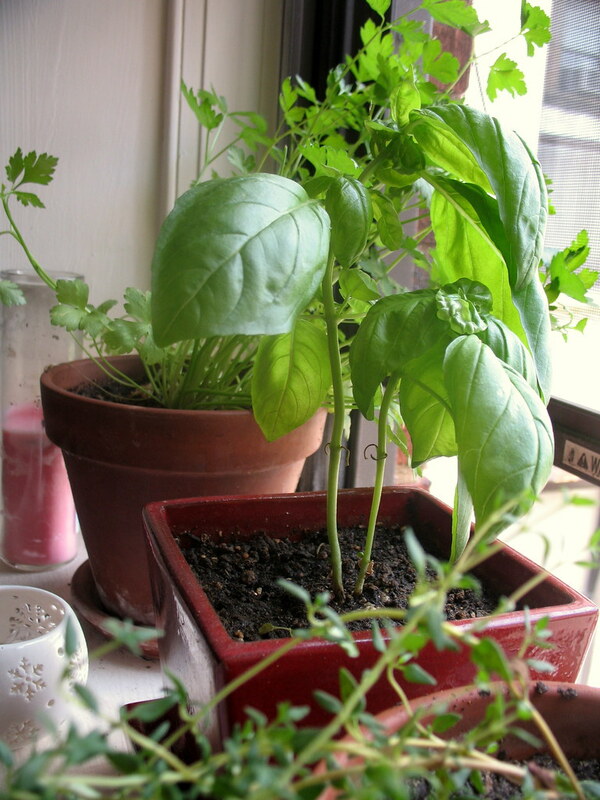 Finally, my windowsill herbs have been doing nicely lately. Strawberry and basil just seemed a nice match. I forgot entirely about the cereal breakfast and had a few of these instead. Combine in a blender and puree until you can no longer hear big chunks of ice grate. Serve immediately. *Calculating the cost of CSA items will be tricky. I’m splitting a full share with one friend, so paying $282.50 for 23 weeks of produce. That’s about $12 for every week’s batch… guesstimations will ensue. Three brownie points: I’m a two percent milk person, and though whole milk would make this creamier (the farmer at Milk Thistle told me the milkfat rises to the top if I should ever want to use it for something fattier), I resolve to stay that way for simple drinking. Lord knows there’s plenty other ways to get some cholesterol. Strawberries are rich in Vitamin C and fiber, and they’re redness gives away they carry the antioxidant lycopene. 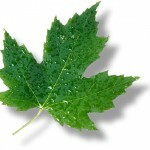 Nine maple leaves: Hm, I can’t find anything that wasn’t in season, organic, locally or home grown. Hooray! You and I are on the same taste wavelength! I have been experimenting with dairy alternative ice creams and I made a strawberry/basil coconut ice cream. I used local basil and strawberries from Union Sq. Green Market. It was YUM!! I think those 2 tastes are fantastic together! this smoothie tasted like summer!!! I even went overboard with the basil and used soy milk and it tasted absolutely delicious. 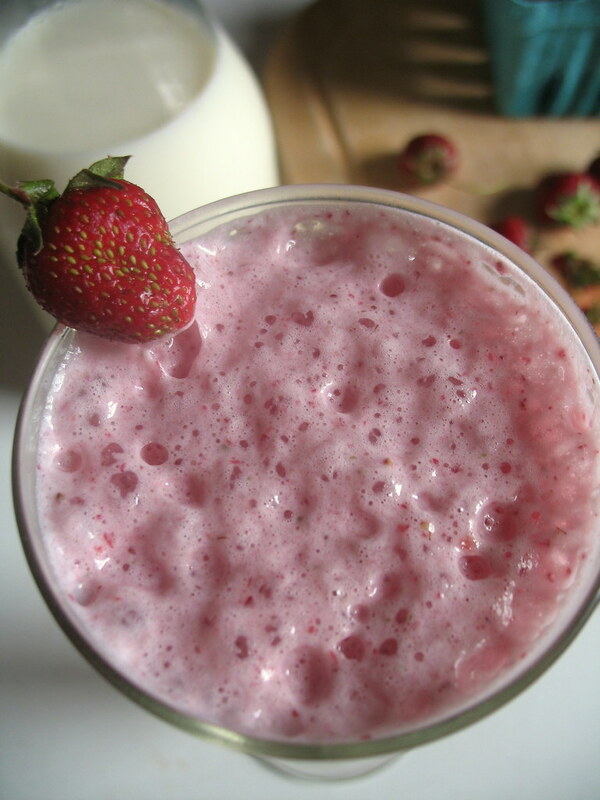 I’ve made strawberry smoothies with basil syrup, but I’d really like to try it your way once I buy more basil. yay! i’m in taiwan now teaching english and i loooove those milkshakes. it makes me not want to go home. What a lovely smoothy! 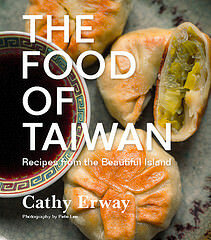 Beautiful accompanitied flavours: a classic! this sounds so yummy and refreshing! Delicious! I got strawberries in my CSA share, too. 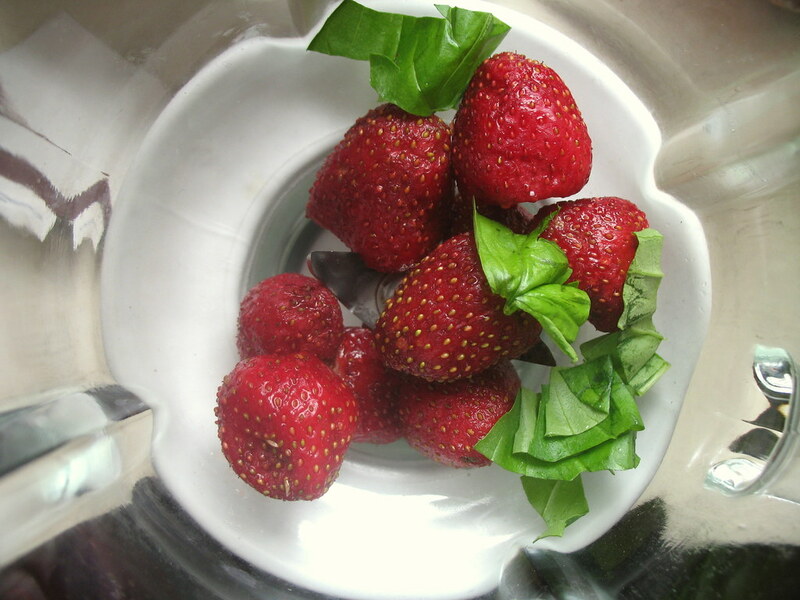 I also like strawberry sorbet with basil (and a little bit of balsamic vinegar for tang). “almond breeze” almond milk is really great in shakes. especially the vanilla kind.